Spotify Fan Insights is becoming Spotify for Artists. We’ve pulled everything together into one place — audience insights, song data, artist profile management, support, and more. 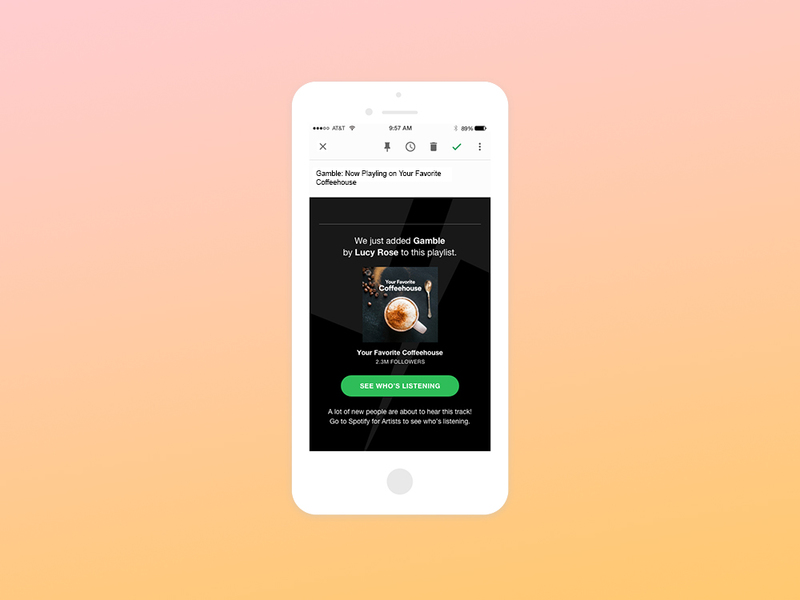 Here’s a deeper look at what you can do with Spotify for Artists. See how your audience is changing over time. Demographics: Learn about who your listeners are on Spotify — including their age, their gender, and what features they’re using to discover and play your music. Use your insights to refine promotion or secure new partnerships. Location: See detailed breakdowns of where people are listening to your music. Artists are using this data to route tours and pitch songs to local radio. Similar artists: See other artists your fans are listening to so you can find a perfect tourmate or collaborator — or use it to better target your marketing. Live listeners: Your live listeners update in real time, so you know how many people are listening to your music on Spotify. We'll shoot you an email when you're added to a Spotify playlist. Song data: Stay on top of how well your latest single is performing or measure the impact of your marketing on your streams. Playlist data: Playlists are key to reaching new listeners on Spotify. See who’s adding your music to their playlists and how that’s helping you get discovered. Playlist notifications: Getting added to a Spotify playlist is a moment to celebrate — so we’ll let you know when we add you to one of our 4,500 curated playlists. Edit your artist profile directly from Spotify for Artists. Artist image: Update your image whenever you want so Spotify always reflects your latest look. Artist’s pick: Let fans know what you’re into by featuring a song, album, or playlist at the top of your artist profile. It’s a great way to show some love to another artist or let fans know about a track you’re featured on. 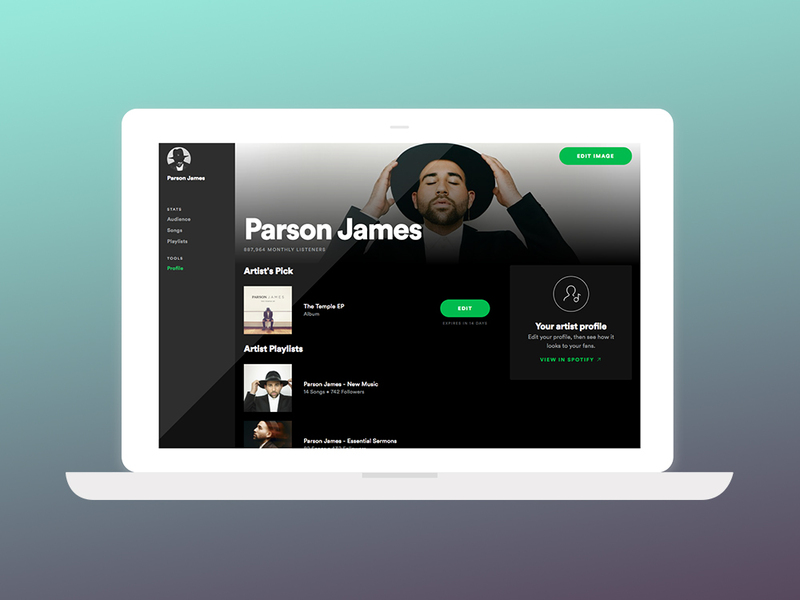 Artist playlists: Add playlists to your artist profile — whether they’re ones you’ve created for fans or a fellow artist’s playlist you’ve got on repeat. Get answers from our team. Simplified verification: Once you have access to Spotify for Artists, you’ll get a verified check mark on your artist profile. The days of submitting a separate verification request are over. Help center: We’ve beefed up our guide and FAQs with more information about Spotify and Spotify for Artists. Get in touch: Our artist support team is here and ready to answer any questions you have. Spotify for Artists will be rolling out automatically to current Fan Insights users. If you weren’t part of the Fan Insights beta, you can get access to your artist profile here.